The designed landscape - jewel-like garden or panoramic vista - is but one of the ingredients of the English historic landscape. Most historic landscape lies beyond the park pale. This wider landscape is a fundamental aspect of the historic environment yet one of the least understood, though providing the setting for everything else and revealing the long interaction, sometimes harmonious but often not, of people with nature. English Heritage's Historic Landscape Characterisation (HLC) programme is filling this gap in understanding. Moving beyond individual buildings, ornamental landscapes or archaeological sites, the programme establishes an over-arching view of the whole historic landscape. It provides a base map for a better appreciation of separate places, but also offers an overall understanding of the whole. HLC focuses on aspects of the landscape that have not always been regarded as archaeological. It considers components of the landscape that are 'natural' but nevertheless the product of centuries of human action, such as hedgerows, woodland, ponds and modified watercourses. It also takes account of more intangible matters reflected in its physical structure: time-depth, and patterns such as settlement, land-use and the mixture of enclosed and non-enclosed land, arable and grazing, woodland and parkland. HLC is carried out at county level within two national frameworks - the Countryside Agency's Countryside Character map and English Heritage's Adas of Settlement Diversity. Both subdivide the country into discrete areas, each with distinctive character. 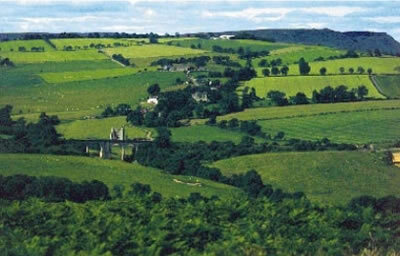 The Countryside Character Map was produced by the Countryside Agency in collaboration with English Nature and English Heritage (Countryside Commission 1998, vols 1-3; Countryside Agency 1999, vols 4-8) and defines the country's landscape character by describing the scenic, natural and to a limited extent the cultural character of a single set of 159 distinctive Areas. The Settlement Atlas (Roberts and Wrathmell 2000) is more detailed, but concentrates on one main aspect, the deep-seated patterns of settlement first established at least a thousand years ago. The Atlas has a hierarchy of 3 levels of character areas: three major Provinces, 25 sub-provinces and 141 local regions, each layer defined by increasingly fine distinctions. HLC combines both these frameworks. It provides detail to support their use and to deepen our understanding of them. It also creates a basic understanding, lacking until now, of the historic dimension of the whole landscape. HLC began by assessing the landscape architect's method of appreciating landscape character. 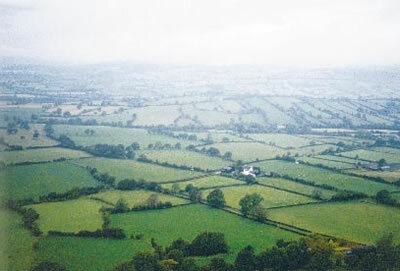 During the 1990s this method reached maturity in the Countryside Commission's AONB assessments, the Countryside Character Map and county-wide assessments. Driven by aesthetic judgements, the method was based on an assumption that geology, soils and geomorphology determine a landscape's appearance. Between those poles of aesthetic and environmental factors, however, lies history and archaeology. 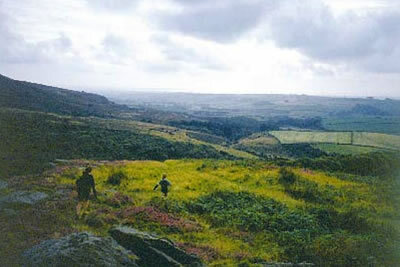 Landscape assessment should include the contribution of human activity to the landscape's history and appearance. Before HLC, no satisfactory method existed for identifying the historic character of the whole landscape. There were many exemplary local studies of landscape history and archaeological landscape work, but no overall view. 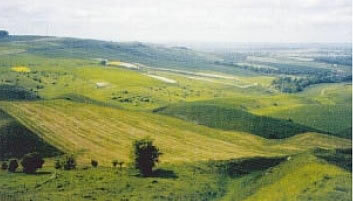 There was a common belief, however, that the most important historic landscapes were simply the areas with the most and the best buildings or monuments -for a pre-historian, Dartmoor or Salisbury Plain, for an architectural historian, Bath or Westminster, for a garden historian, Blenheim or Chatsworth. The commonplace and the typical were overlooked, and there was a risk that the term 'Historic Landscape' would become just another badge of quality to pin on the already recognised special places such as National Parks or World Heritage Sites. In HLC, English Heritage has adopted an approach that allows historic landscape character an independent existence, to be studied and understood, managed, protected or enhanced, on its own terms. Historic character can be appreciated through archaeological investigation - excavation, non-intrusive survey and scientific analysis of material remains. Characterisation also offers the potential to raise public awareness of the historic environment on everyone's doorstep, not just in designated areas. This understanding is the first step towards managing the landscape heritage, using it and possibly changing it, as explained at greater length in Yesterday's World, Tomorrow's Landscape. The ambitious scale of this objective has required a broad-brush approach and counties have been chosen as a suitable working scale. There are practical advantages for using counties, notably, consistency with other mainly county-based historic environment databases such as SMRs. The main reason, however, is not administrative convenience but the need for a scale of work midway between the local and the regional. A regional or national scale for HLC would be too far removed from local distinctions and would not provide a useful level of detail. Integrating with other approaches to conservation; HLC was specifically designed to work with countryside, nature conservation and green conservation. The priority rather is to amplify the two high-level national frameworks that already exist. On the other hand, we know from experience that landscape work at too local a scale lacks a context, cannot disentangle broad patterns and structures, and is slow. At county level, however, broad patterns and generalities can be identified without losing sight of the more detailed grain of the landscape. A jumping-off point is created for further work at local or regional scale in an assured context, and it becomes feasible to attempt coverage of the whole country, for the first time, within a decade, a timetable that can help to address current conservation priorities. HLC works by using computerised Geographic Information Systems (GIS) that attributes each block of land to one of a range of landscape Types. The basic building block is a group of fields or other means of land parcel. The size of the blocks varies according to the grain of the landscape, itself a product of an area's history of land-use and settlement. GIS databases allow the judgement and interpretation that underlie the attribution of an area to a Type to be recorded and made explicit, thus helping to measure the subjectivity of the characterisation. Maps can be produced at whatever degree of certainty or detail is required for a particular purpose. The Historic Landscape Types themselves are based on historic processes, land-use and appearance. Examples include different types of woodland (recent plantations, ancient woodland), heath-land and common (and sometimes former areas of heath and common), land used in the 20th century for military purposes (airfields) and still retaining military character, areas mainly characterised by mineral extraction or industry, and ornamental designed landscape. Most notably, HLC analyses the diversity of land enclosed by hedges, walls and other boundaries that forms perhaps the most important component of the English historic landscape. The Settlement Atlas (Roberts andWrathmell, 2000) draws our attention to the more ancient character of settlement in the west and east of England. HLC demonstrates that those characteristics are, as expected, reflected in field shapes and other aspects of the farming landscape, including buildings. HCL also defines local and regional diversity of hedge patterns, attributing likely dates to types of field layout and assigning pre-medieval dates for more areas than might have been suspected. HLC gives a context for individual hedges, so that decisions about which hedges should be protected through the Hedgerow Regulations can be taken in recognition of a hedge's historic significance, not only of how many rare birds or plants it might support. The basic source for HLC is the landscape itself, as portrayed on the latest maps and aerial photographs. Other sources are used, mainly modern mapping or digital data, for example, of semi-natural woodland or current mineral sites. Some historic maps are consulted in an archaeological context because HLC is an archaeological technique used to analyse present-day rather than past landscape. Nearly half of England's historic counties now have an HLC integrated with the county SMR and available to district and unitary councils for conservation and planning work. Some offer HLC maps on-line via the Internet or in libraries. It is an important aspect of HLCs that they are computerised on highly sophisticated GIS and can be used at local or county level at many different degrees of complexity: broad summaries of a county's historic landscape character, more detailed portrayals of aspects of it, explanations of the historic process that altered the landscape or reconstructions of past landscape appearance. HCLs can be laid over other maps, such as the first edition OS 6", and used with other data from archaeological sites, scheduled monuments, parks and gardens, conservation areas or nature conservation. Finally, HLC captures a particular view of the present landscape, so periodic updating will be necessary as the landscape changes and our understanding and perceptions grow. Early projects will be brought up to date with the latest methods. HLC needs to expand too. Begun as a mainly rural exercise, it will work in urban areas and some of the groundwork for this has already been done. A greater challenge is to expand HLC to embrace the intangibles of landscape, such as cultural and psychological perceptions and historical associations: the ways in which 'landscape' embraces all the senses of belonging or alienation, familiarity or strangeness. HLC needs to incorporate how people react to landscape, often not through the accepted rules of aesthetics. The next stage of the HLC programme will include a review of current methods to identify the most useful future approaches as the programme moves towards national coverage. Yesterday's Wmid, Tomorrow's Landscape (Product Code XC20041) and An Atlas of Rural Settlement in England (Product Code XC 20040) may be ordered from English Heritage Postal Sales, Knights of Old Ltd, Kettering Parkway, Kettering, Northampton NN15 6XU (www.english-heritage.org.uk).